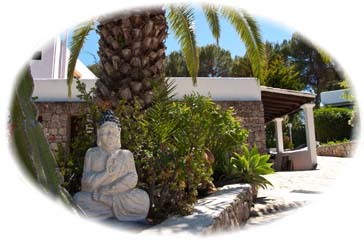 Our hotel is located in the north eastern part of the island, near the picturesque beach of Cala Llenya and set within 10.000 m² of beautifully groomed gardens. This area is certainly one of the lovliest spots on the island. 70 rooms in several one storey buildings are surrounded by lush gardens with oleander bushes, palm trees and many other typical mediterranean plants. Are you looking for peace and quiet? Hotel Club Can Jordi is where you want to be! Dreaming of a small hotel in the country side with a warm atmosphere? Come stay with us! Many of our clients have been coming back for over 20 years!